Equipment renting has been part of recorded human history in one form or another since Iraq’s ancient Sumerian times (according to this Automotive Fleet article). And now, technology is poised to pivot the industry once again. Specifically, telematics is already being used by many rental fleet managers to verify equipment deliveries and actual utilization hours. This information helps them with billing and fleet maintenance. However, if you dig deeper into the data, there are three other ways to apply the information: inventory management, staff scheduling and staying competitive. Idle inventory costs your rental business money. And so do “out of stock” issues. You can’t rent what you don’t have. The grocery business went through a similar transformation in the 90’s – learning how to harness the power of their own scanner data. They could better understand what items sold well regularly and on sale, plus which sales provided the best inventory turnover. Telematics data could do the same for your inventory mix. Pair you rental management system data with equipment usage hours from an application like FleetOutlook to gain a more complete picture of what and how your fleet is being used. Then, you can find answers to questions such as: What equipment rents the most often? What equipment types are preferred? Which pieces have the highest hours of service? Reviewing the results might lead you to running specials on your least rented pieces, or even making the decision to sell them (and you will have the usage history from your telematics software to get the best price for them too!). Combat irregular maintenance scheduling. Like idle inventory, it is expensive to have idle service staff as well. And, on the flip side, it’s not good if you have too many repairs for the technicians on hand. 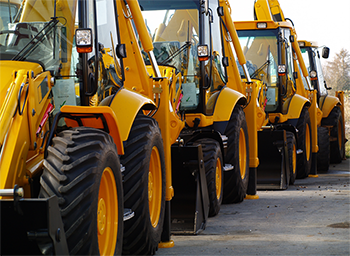 Telematics helps you spot equipment maintenance trends and alerts notify you of any trouble codes that may arise. This allows you reduce some operation inefficiency by strategically scheduling when regular repairs, such as oil changes or tread replacements, are done. It won’t eliminate all breakdowns, yet knowing the general wear-and-tear trends could reduce their frequency and keep your maintenance shed humming. Additionally, the data should allow you to “right-size” your service department to match the work performed. Uber and Lyft among others have disrupted the taxi industry. AirBnB and Travelocity are encroaching on hotels’ turf with private rentals. Some startups are eyeing your equipment rental business too. Companies like Getables have developed tools which make it easier to rent equipment between private parties, sometimes known as peer-to-peer. If this latest “as-a-service” concept becomes popular, it could impact your bottom line by siphoning off your smaller rental customers or improving the ROI of ownership (from additional income). How can you maintain your market share? It might seem simple, but fight back with great customer service. A good experience comes from having the right inventory and pricing to convenient rental options, such as checking the availability and then booking via a mobile app. Access to your fleet’s telematics data will help you show your industry expertise across a breadth of equipment and site conditions. As noted earlier, you can reduce downtime from breakdowns with regular maintenance and readily fix equipment if something unexpected does occur. The history of equipment rentals is long and storied. Telematics is just another chapter. As with any new tool, it is how you use it. 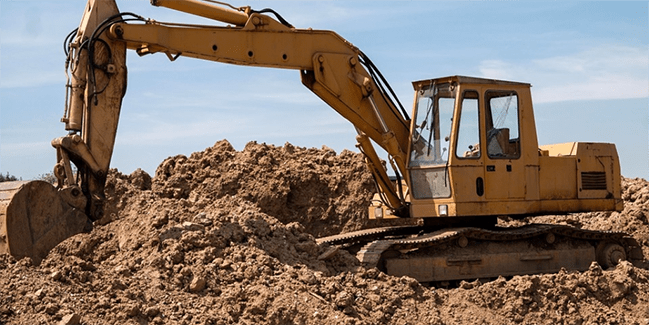 There are certainly many ways to apply telematics information to your business from the standard monitoring to digging into the data trends it provides. How would you use the technology with your rental fleet? Discuss your ideas in person with CalAmp staff at The Rental Show on February 26-March 1st in Orlando at booth #4839; and ConExpo-Con/AGG on March-11th in Las Vegas at booth #S64507. And read more about CalAmp’s FleetOutlook here.